Almost 70% of Turkey’s energy requirement is supplied by imports. This dependency on foreign energy sources is an important reason behind Turkey’s current account deficit and reducing this dependency is a key part of the country’s economic policy. Under these circumstances, Turkey’s great wind energy potential becomes more valuable. In order to exploit this potential, investors, raw material producers and some other segments of the industry intensively lobbied government officials to grant licences. The Turkish government is also supporting the local production of wind farm components. Turkey plans to reduce its dependency on imported fossil fuels by utilising its renewable energy potential more. The country aims to have a 20 000 MW installed capacity generated by wind turbines by 2030. If it reaches this goal, Turkey will have the third highest capacity in Europe, after Spain and Germany. Current installed capacity is 1786 MW. Turkey’s energy imports account for roughly 70% of the current deficit. Because of this, the Turkish government is encouraging investors to implement energy projects in Turkey with new incentives on renewable energy. To speed up investments in renewable energy, the Ministry of Energy and Natural Sources and the Energy Market Regulatory Authority (EMRA) promulgated Renewable Energy Regulations with some amendments on the RE (Renewable Energy) Law (Tariffs & Domestic components) recently. Tariffs are applied for a ten-year period to power generation projects completed in 2005-2015. 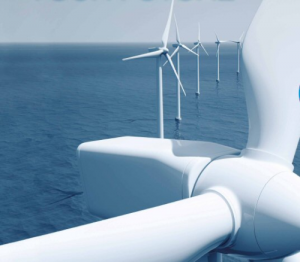 These developments make the Turkish wind energy sector a focal point for local and internat-ional investors and manufacturers of composite parts. Enercon has had a blade production facility in Izmir, Turkey, since 2002. Alkeg Energy and Soyut Wind also manufacture blades in Turkey. The blades are generally produced using vacuum infusion technology. Recently, TPI Composites Inc, a US headquartered supplier of wind turbine blades, and Turkish engineering, manufacturing and construction company Alke Insaat have formed a joint venture company in Turkey to manufacture large blades. GE Energy, Gamesa, Nordex and Siemens are international investors which want to strengthen their position in the Turkish renewable energy sector. Vestas has delivered a cumulative capacity of 556 MW to the Turkish market, which gave it ­a 30% market share at the end 2011. Duratek, located in Izmir, supplies epoxy resin supplier to blade manufacturers, and Cam Elyaf Sanayii AS is an important supplier of glass fibre for wind blade manufacture. The use of domestic components in wind turbine blades, declared by EMRA through the RE law, delegates responsibilities to Cam Elyaf Sanayii AS as the sole glass fibre producer in Turkey. Cam Elyaf, a subsidiary of SISECAM, produces direct roving glass fibre WR6 that is used in wind turbine blades in the form of woven textiles. All the wind turbine blade producers use glass fibre textile that is certified by Germanischer Lloyd (GL). WR6 is also certified by GL. Good unwinding properties, high process performance, fast and complete wet out, high mechanical properties and compatibility with unsaturated polyester resin, vinyl ester and epoxy resins makes Cam Elyaf direct rovings ideal for wind blade manufacture.